Post radiation atypical vascular lesion. 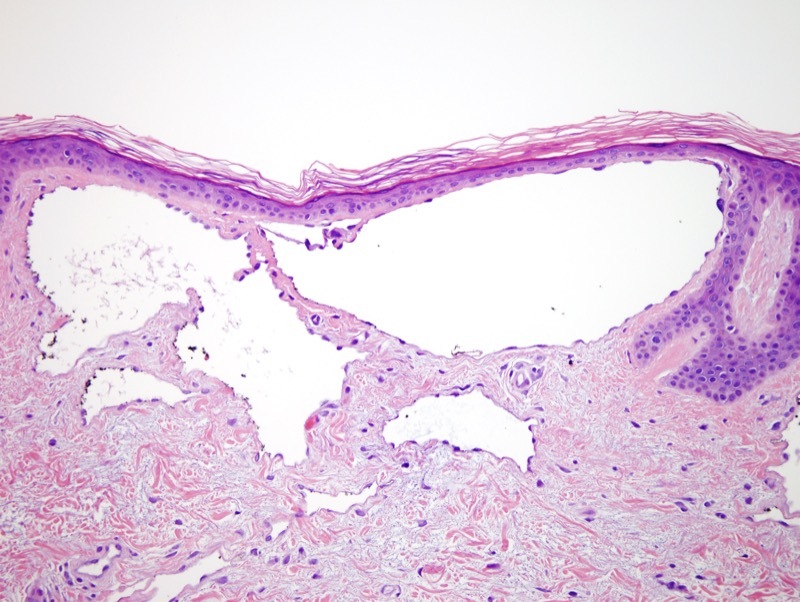 The atypical vascular lesion is typically of lymphatic derivation and clinically appear very small; although they may recur they usually pursue a benign course. 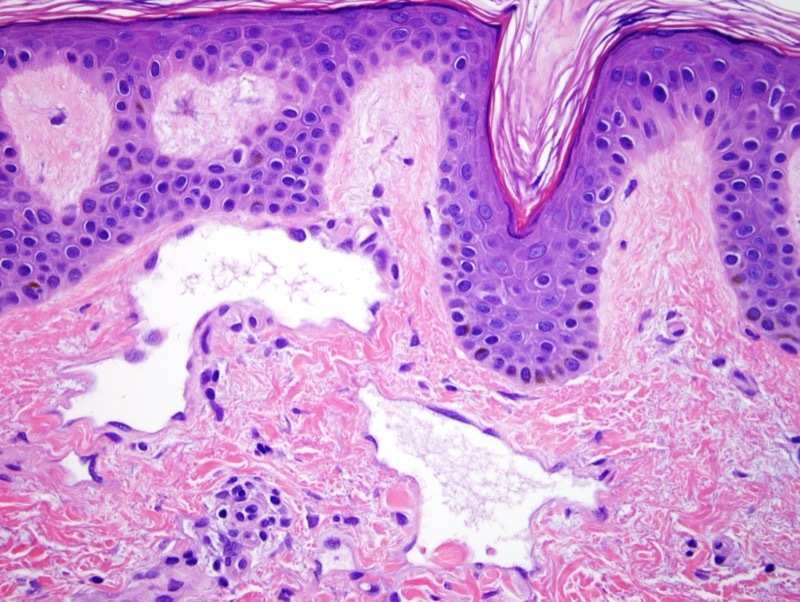 The lesions are characteristically found in a prior radiation field whereby the lesions range in quality from being papules to nodules with variant telangiectasias and erythema.